The KPOA is the largest law enforcement association in Kansas with over 3,000 current members. 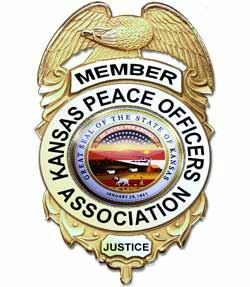 Welcome to the new enhanced website of the Kansas Peace Officers Association! ATTENTION CURRENT MEMBERS: This site is designed specifically for you. In the upper right corner of this page you will find a "login" link. On the login screen, click the "forgot password" link. Enter the e-mail address we have on file for you. In most cases, this will likely be your work e-mail address unless you previously provided your personal e-mail address. If your e-mail address is found, you will be provided with instruction on how to set up or reset your password via e-mail. If the system is unable to locate your account or you do not receive an e-mail to reset your password, please e-mail us at kpoa@kpoa.org and we will assist you. This site will allow you to maintain your account in good standing and allow you to pay your dues online and manage your and your beneficiary contact information. We encourage you to do this to ensure the information we have on file for you is correct and current. Many new items will be available soon to our members through "member only" access, so stay tuned. We are excited about the possibilities in store for the association as we launch this new site and we look forward to your feedback.